A lot of people get stuck of the idea of what it takes to achieve their financial dreams that it restricts them from taking the required steps to accomplish their financial goals. While others rarely experience wealth even with the money they have. Being "wealthy" is not just having loads of cash, an individual is wealthy when they feel grateful, abundant, and they are no longer bothered about anything besides sharing their wealth to help others and are enjoying life to its fullest. Many people have resources and money, but they don’t feel wealthy. Where most people fail is by not setting financial boundaries. 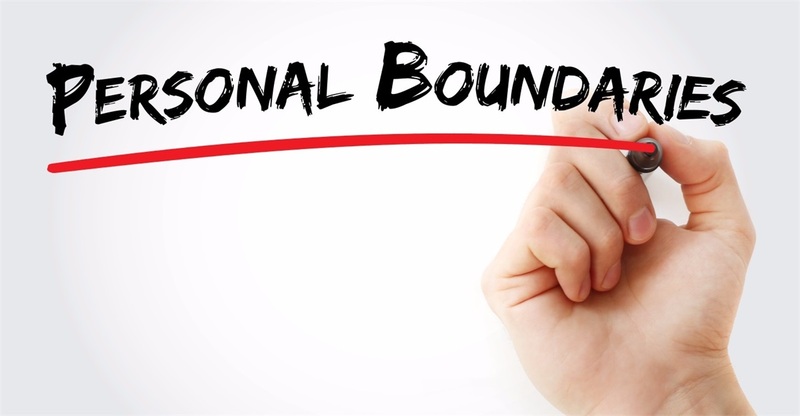 Setting boundaries are essential if we want to achieve financial freedom. Developing the habit of creating healthy financial boundaries will not only help you to enjoy wealth, but will maintain self-respect as well as protect your self-esteem. The areas that people need to set financial boundaries to achieve their financial goals is between family members, between teens, young adults and grown-up kids and creating a margin in lifestyle. It is quite a burden if you are the family member who has a well-maintained credit or has good financial resources. You will have issues with giving money to family members such as siblings and relatives who never seem to learn their lessons on managing their finances. You will be the one everyone comes to for financial problems, you will be asked for a car loan or to co-sign a student loan, lend money for a down-payment on a first house, or pay for credit card debt. You can’t help these people if you want to accomplish your financial goal. How do we deal with other family members? What can you do? You just say “NO,” try to encourage them, suggest a cost-saving idea that the person could implement. It is natural for a parent to want to support and help their children readily; however, this should not continue far too long into their adulthood. Creating financial boundaries on teens, young adults and grown-up kids will help you accomplish your financial goals and also help your children to establish financial responsibility. Remember the saying, give a man a fish, and he’ll eat for the day, but teach a man to fish, and he’ll eat for a lifetime. Parents run the risk of impoverishing their children and their financial future by helping, enabling, their kids too much. Many people are living at the edge because they failed to create a margin in your lifestyle. For example, people often have no extra “space” on the pages of their lives. They don’t have extra time to decompress, rest, and just rejuvenate. They are living beyond what they can afford which leaves no margin for unexpected financial interruption or emergencies. Having such as lifestyle can easily lead to depression, lack of hope, compound stress resulting in bad health, lack of sleep, weight gain, and of course no financial escape. Learning how to say no and taking control of your financial life can save you and your family, adding back quality of relationships as well as hope of realizing your financial dreams. We can't help you to say no, but we can help with the financial freedom and get you to the point where you can do better with saying no. Contact GPS Wealth Management to start your navigational path of financial freedom!